March with us in the Arlington Heights Memorial Day Parade. The Glueckert Funeral Home Family will create a Personalized Honor Ribbon with the name of your hero; Veteran or Serving, Living or Deceased. The Banner will also state the branch of the military (and War/Conflict served in) of your hero. We ask that you provide an American Flag to accompany the banner. Join us to remember and show gratitude to our Military Members who have served our country. We will provide you with an Honor Banner for your hero. 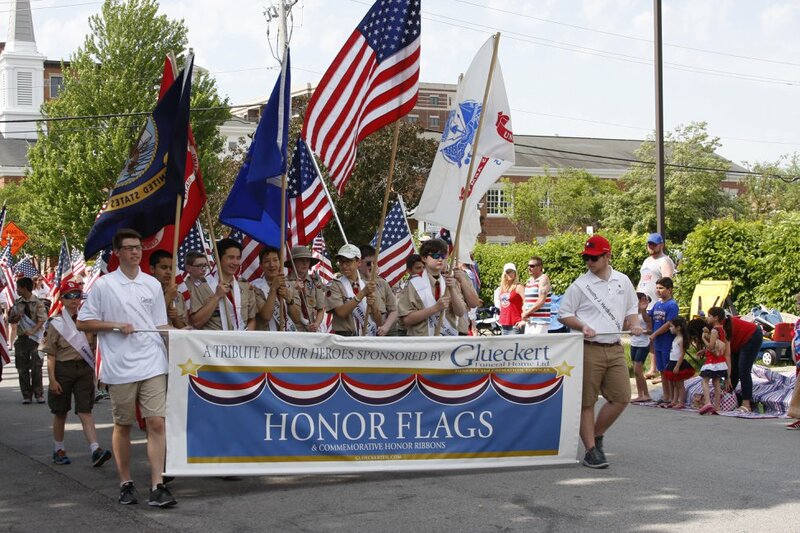 Any flag not picked up after the parade will be available at Glueckert Funeral Home until June 3rd. Please drop off your flags and provide us with the Honor Banner information before May 22th.